The Rockets kick off a six-game road trip with three games in three nights against U.S. Division teams. 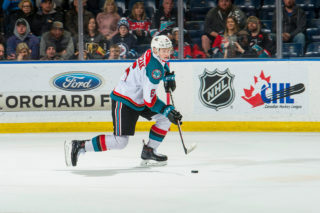 Kelowna will faceoff against the Seattle Thunderbirds Friday night, then head to Portland to play back to back games against the Winterhawks on Saturday and Sunday. 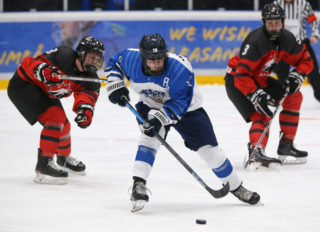 The team has been out of action since last weekend when they defeated the Brandon Wheat Kings 4-3 in the dying minutes of the Paint the Rink Pink night game. Head coach Adam Foote says that his team is ready to jump back into the thick of things this weekend. Kelowna has already seen Seattle twice this season. 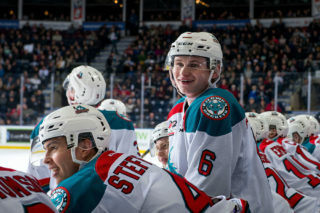 The Thunderbirds defeated the Rockets in both games; 4-1 at the accesso ShoWare Center on Saturday, October 6th and 9-6 at Prospera Place on Wednesday, October 10th. After tomorrow’s game, the two will only see one another once more this season, January 30th in Kelowna. The Rockets enter the game with a 7-10-0-0 record which gives them 14 points, they’re tied with the Kamloops Blazers for fourth in the B.C. Division. Both teams trail the Prince George Cougars for third by three points. Victoria sits in second with 18 while Vancouver sits atop the standings with 26 points. Seattle sits fifth in the U.S. Division with a 7-6-2-0 record and 16 points; they’re six points back of the first place Everett Silvertips. 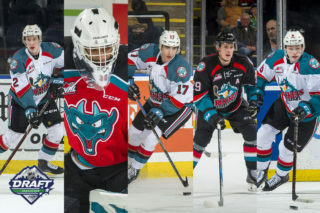 After Friday nights game Kelowna will head south to Oregon where they’ll play Portland Saturday at the Moda Center and Sunday at Veterans Memorial Coliseum. The Winterhawks will be well rested, they have Friday night off. They’ll see each other once again later this season when they play back to back games in Kelowna on March 2nd and 3rd. This is the first matchup between the two clubs this season. The Winterhawks took the series last season 3-1-1-0. Portland sits second in the U.S. Division standings with 21 points and a record of 10-6-0-1. They trail the Everette Silvertips by one point for the top spot. 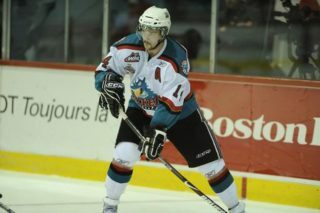 The Rockets road trip continues Wednesday, November 14th when they head north to play the Prince George Cougars. The team is then off to Alberta to play back to back games against the Red Deer Rebels November 16th and the Edmonton Oil Kings November 17th. Kelowna is back in action at Prospera on Wednesday, November 21st when they host the Regina Pats for Hat Trick Wednesday.